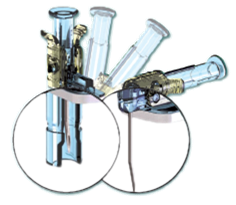 Thanks to its single-handed removal, PPS® Quick allows to perform positive pressure helping to reduce catheter occlusion. 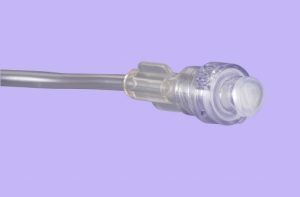 Catheter occlusion is the most common complication in the long term use of implantable ports (up to 21.5% of catheters may be occluded). 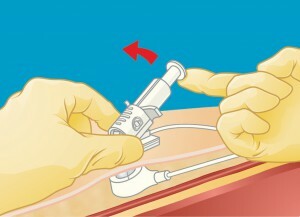 STEP 2 : Preparation : lift the piston from the horizontal position position to the vertical position (perpendicular to the patient skin) while holding the square base with 2 fingers. 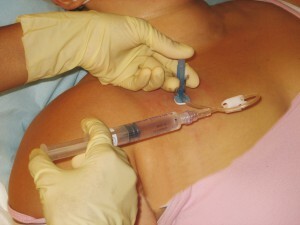 STEP 3 : Using your thumb, lower the piston to put it in contact with the skin, inject sterile normal saline with the other hand and simultaneously lift the extractor (with an upwards movement) until there is a CLIC corresponding to the total locking of the needle. 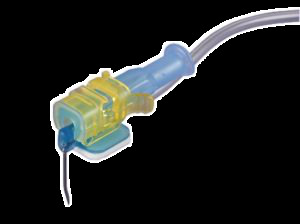 This final operation eliminates any risk of accidental needlestick injury. 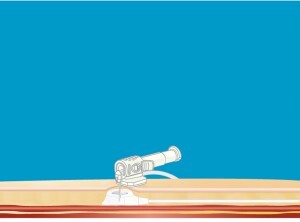 Access site provides excellent visibility of inflammation or exudation. PPS Quick is packed in a box a 12 units.